you buy this Dealership of All-Profit Ads. 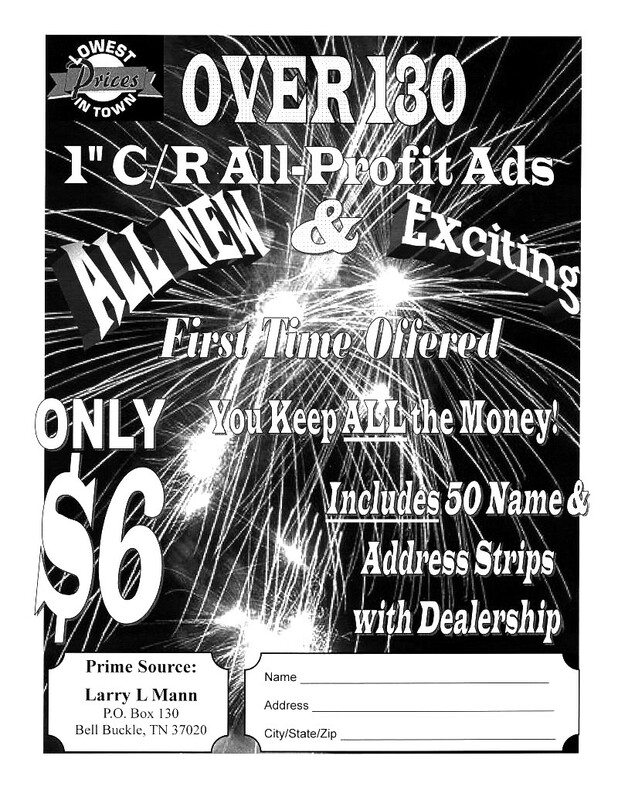 You will receive this free 50% commission Dealership when you order the "Over 130 All-Profit Ads". You will recieve the Name & Address Strips from the Prime source in a separate package.